What are your Lunar New Year traditions? 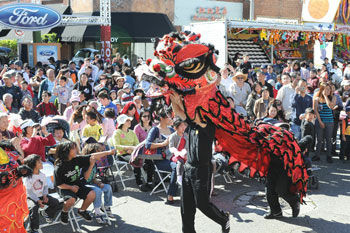 Many Southern California residents take part in traditional celebrations to mark Lunar New Year. Traditions and superstitions vary by culture and generation, and KPCC journalists are curious to learn the way you, your friends and family celebrate the day. Are there any fun or special traditions in particular that you're looking forward to? Scroll down to share your insights with KPCC journalists. We read every response. And nothing you share is aired or published without your permission.